CES 2015, ASUS launched the upgraded version of its flagship series Zenfone. This new version is Asus Zenfone 2 which is launched in two variants the other being the Zenfone Zoom with exceptional camera features like 3x optical zoom with built in laser sensor for accurate photography. The Asus Zenfone 2 is the world's first android smartphone having 4 GB onboard RAM (memory). 4 GB of onboard memory makes the second generation Zenfone 7 times more faster then its predecessors when it comes to gaming. The Asus Zenfone 2 is packed with the latest 64 bit Intel processors which makes it the cheapest android phablet or smartphone to have a 64-bit CPU. The Zenfone 2 either have Intel atom Z3580 or Intel atom Z3560. While the architecture of both the processors are same, they are just different in their clock speeds. The Intel atom Z3580 has a burst frequency of 2.33 GHz while Z3560 has 1.8 GHz, while both being quad-core processors. While Intel atom supports Intel HD graphics but on android it is not supported unless Intel makes it official. With a quad-core CPU and 4 GB RAM their would be no compromise in speed and performance. Gaming is smooth on such a quality hardware. The zenfone 2 runs on the latest android 5.0 Lollipop with Zen UI. Zen UI is fluidic and easy to use. Zenfone 2 will be available for sale in USA in March 2015, till the time you can just read this article and know everything about this smartphone, so that you can decide whether to buy this phone or not. If you want to compare Asus zenfone 2 with other manufacturers like Samsung, HTC , Sony, LG, Motorola or Lenovo then you will not find any smartphone in $199 which has great hardware specifications as Zenfone 2. Even Motorola's Moto G second generation feels smaller and slower when compared to Asus Zenfone 2 in every aspect. Cameras Front: 5MP, f/2.0-aperture, wide-angle (85-degree) lens with Selfie Panorama. 1. 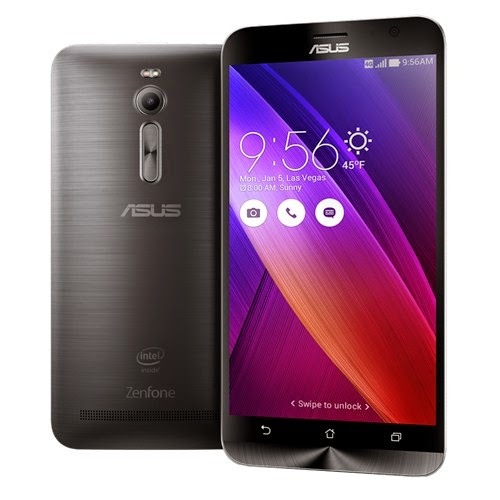 Android Version : Asus Zenfone 2 runs on android 5.0 lollipop out of box with Zen UI. This phablet will surely get next major android upgrades. At this price range android 5.0 lollipop doesn’t come out of the box except in Asus Zenfone 2. ZenUI has a variety of new features, including ZenMotion, SnapView, Trend Micro Security and ZenUI Instant Updates that enhance usability, ensure security and privacy, and deliver a seamless user experience. 2. Build Quality : Asus Zenfone 2 has good build quality. The body is made of polycarbonate. Screen is protected by Gorilla Glass 3. The back side of the phablet has a metallic hairline finish. The volume rockers are located right below the camera for easy access. The volume rockers are easily controllable by our index finger as we hold the phone in such a way so that the index finger always automatically touches the surface where volume buttons are located. 3. Processor : The Asus Zenfone 2 has either Intel atom Z3580 or Intel atom Z3560 CPU. This processor is based on 22nm lithography which delivers faster performance while being more power efficient. The Intel atom Z3580 is a quad-core CPU with a burst frequency of 2.33 GHz. It has 4 threads, so running any application won't slow down this phablet. The maximum thermal temperature of this processor is 90 degree celcius and android apps can't make the CPU to reach that temperature. However the cooling methods are different for smartphones and notebooks. In smartphones manufacturers use a thermal pad due to low space which is not the best way to keep the CPU cool. But still Asus Zenfone 2 would not overheat while playing games. It will run cooler than the snapdragon processors that makes the smartphone to overheat when CPU and GPU runs under load specially while using 3G or LTE network. The cache size of Intel atom is 2 MB which is enough to reduce memory access which further increases the processing speed of Asus Zenfone 2. 4. Memory : The Zenfone 2 either has 2 GB or 4 GB RAM. Before buying make sure you are choosing the right processor and RAM combination which is given below. Zenfone 2 has 4 GB LPDDR3-1600 memory type (the 2nd fastest memory type after LPDDR4 in smartphones) which makes it 7 times more faster than its predecessors. Multitasking with this phablet will be at your finger tips. No matter whether it is a game or android app, your Asus phablet will not fall short of memory. 5. GPU : The Asus Zenfone 2 has PowerVR G6430 GPU chip from imagination technologies which is fast mobile graphics used in Apple A7 chip. This is the fastest graphics GPU chip in its class at the time of its introduction. However PowerVR G6430 is just slightly behind adreno 330, but most graphics demanding games can be played. The PowerVR G6430 supports OpenGL 3.0, OpenGL ES 3.0 and DirectX 10. I have previously used PowerVR SGX 540 which let me played most GPU demanding games like dead trigger, NFS most wanted and GTA Sanandreas. So I can say that PowerVR G6430 will perform better in android gaming. 6. Storage : Asus Zenfone 2 comes in 16 GB, 32 GB and 64 GB models. The storage can further be upgraded to 64 GB via microSD card. The USB OTG function is fully supported in Asus Zenfone 2. 7. Battery : Asus Zenfone 2 is powered by 3000 mAh Li-Po battery. The battery is non-removable type and has a new feature called “Fast Charging” that is 60% battery will be charged in 40 minutes. 3000 mAh battery is enough to power the phone for a complete one day. However the battery juice will still depend on usage. This smartphone is LTE enabled so browsing internet via LTE/4G network will drain the battery faster as compared to GPRS. 8. Camera : Asus Zenfone 2 has 13 MP Auto Focus rear camera with resolution of 4128x3096 pixels and 5 MP front facing camera. The rear camera has dual tone LED flash and has features like geo-tagging, touch focus, face detection, panorama and HDR. It can record 1080p videos at 30 fps. The 5 MP front facing camera can be used to take awesome selfies. At this price range don’t expect 4K video recording. The camera is best in class at this price range. The camera has PixelMaster technology to capture stunning photos with zero shutter lag. The PixelMaster employs pixel-merging technology to capture up to 400% brighter photos at night, or in low-light scenes, without the need for a flash. 9. Screen : Asus Zenfone 2 has 5.5 inch IPS capacitive touchscreen with 403 ppi. The screen resolution is full HD 1920x1080 pixels and is backed with corning gorilla glass 3 protection. The screen is scratch resistant and can save much money thay you spend on screen protectors. 5.5 inch screen is big enough to enjoy multimedia content on this phablet. Editing and creating documents will be easier on such a big screen. The screen to body ratio of Zenfone 2 is just 70.1% which makes it easy to watch movies or videos on screen which seems larger. 5.5 inch smartphone may feel bigger for your pocket. But it will fit in large pockets. The 2 GB RAM version has 720p screen. 10. Connectivity : Asus Zenfone 2 has all the connectivity options that a smartphone would need. It has dual band Wi-Fi, bluetooth 4.0, NFC and USB host which allows you to connect flash drives, mouse and keyboards. Also all basic sensors are present like light sensor, accelerometer, gyro sensor, proximity, hall effect sensor and compass. I would recommend Asus Zenfone 2 to you if you want a value for money phone. Intel processors are ruling the desktops since a long time, now same 64 bit technology came to Asus Zenfone 2 with android lollipop. These Intel atom processors are power efficient yet powerful. 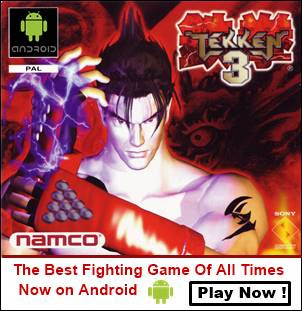 Backed with PowerVR G6430 this smartphone is capable of running heavy android games. 4 GB RAM is enough to run any app. The phone is LTE/4G enabled. As over time WCDMA speeds will be slower, so opting for a 4G enabled phablet is a good decision now. You can get speeds upto 150 Mbps in LTE. At only $199 this smartphone is best in class with quality hardware and latest android lollipop.